When a person first comes into a home, their senses are awakened to a pleasant smell, a neutral smell, or a foul odor. It is a common fact that most people’s homes will begin to smell like the people who live there, or their pets. People’s homes can take on the odor of their habits. If a homeowner smokes cigarettes or cigars indoors, the home will begin to smell like an ashtray over time. If the homeowner cleans fish in the kitchen, it can smell like fish all through the home! If the homeowner enjoys the company of several cats or dogs, the home’s odor will give you a sign as soon as you enter through the front door. With a real estate property, odors may not be simple to eliminate. There are a lot of places that lingering odors can hide! For this reason, property owners should call ONEighty Solutions for odor elimination. What this means to you is: If your home, rental property, apartment or other living space has lingering odors, call the professional odor eliminating service for a 180 degree turnaround from smells that are affecting your residence! Nothing cleans real estate property better, and without the use of chemicals. ONEighty Solutions uses the scientifically proven method of nano-technology to clean. It is biodegradable and won’t harm furnishings, hardwoods or carpets. It is the only cleaning method that scrubs the air and the particles that cause odors and bacteria. For odor elimination that lasts, use the Biosweep nanotechnology. What kind of odors in a home can be eliminated with ONEighty Solutions and the BioSweep Technology? Pet Odors: One of the biggest challenges with pet odors is the strong, stubborn odor that permeates from pet urine and feces. Pet odors are difficult for traditional carpet cleaning companies to eliminate. However, completely removing pet urine is different. When pet odors get into the carpet fibers in your home, or in the material of your furniture, it can change the structure of the material on a chemical level. The only way to turn back this process is to Biosweep treat the home on the most thorough level. Nothing is more thorough than our 5 Step Process! Cooking Odors: Cooking some of our favorite foods can leave lingering odors for hours or days. Odors from curry, fish, and other pungent foods varies from annoying to obnoxious. Not good if you have guests arriving soon! Over time, these odors embed themselves in the fabrics around your home, no matter how much cleaning you do. This is where ONEighty Solutions can help. In a short period, we’ll have your house smelling like home again. Mold or Musty Odors: If you smell musty odors, you potentially could have mold. We can remediate the mold to insure that you don’t have spores spread throughout your home. 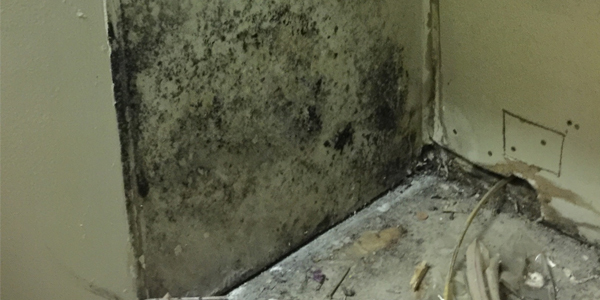 A home owner may still smell the odors from the mold that grew in the house. With Biosweep, we clean the air, eliminate the mold causing bacteria, and make your home smell fresh again. Smoke Odors: Smoke odors in a home can be very strong. Smoke damage can impact the home on every floor and even in the cabinets and walls. Amazingly, you don’t have to see the smoke damage to smell it! The ONEighty professionals are smoke damage odor experts. Whether from cigarettes, cigars, or fires, we clean the air and get rid of the odor causing smoke damage.